I received my DIY cheese kit a couple of days ago. Reading through the instructions, it was clear that mozzarella was the hardest to make. Well, it’s just like me to have to try to hardest one first instead of starting with an easy one, like ricotta. 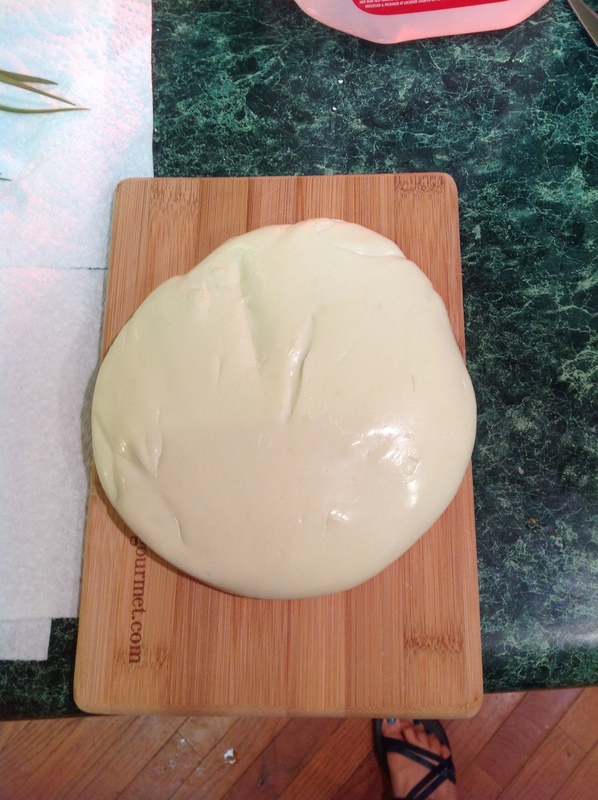 I followed the instructions for mozzarella…SUCCESS! And I have proof. Here’s the result! Yum, what do you plan on using your homemade cheese for now Lauralynn? Yay! I really want to try this. With this cheese kit, you can make mozzarella, ricotta (which I made last night), paneer, queso blanco, and chevre (if you have goat’s milk). Really, all it takes is milk, citric acid, and salt. And the mozzarella needs a rennet tablet. Ricotta is so good in lasagna! LOL, I wish we lived closer. Mmmmm. You had me at cheese. How was the texture? I’ve never thought of making my own cheese but man, that looks good! The texture was just like regular whole milk mozzarella. It was really good, but it needed a pinch more salt.